The Millennium Report could not resist posting this excellent submission from the Society of Flat Earth Debunkers. They have exposed a new and dangerous dimension to this ongoing and intensifying PSYOP known as the Flat Earth Theory. This thoroughly fraudulent theory is aggressively promoted by a highly dubious and deceitful organization known as the Flat Earth Society. The Flat Earth Theory is not a theory at all; rather, it is a meticulously engineered hoax that is zealously advanced on the Internet by a rogue government black operation known as the Flat Earth Society. Their central goals and purposes are numerous and by no means mutually exclusive. However, there is one goal in particular that reigns absolutely supreme on their “deliberate agenda of disruption”: To so discredit every truth movement by infiltrating them with their utter nonsense. In this fashion the Flat Earthers seek to bring down the real truthers by the mere association with their fallacious and preposterous drivel. If ever there was a PSYOP designed to distract, divert and misdirect, the thoroughly insane Flat Earth Theory (FET) is the one. Never in the history of black operations have the co-conspirators been so fierce and fanatical in their mission to deceive and dupe. Just what is that covert mission? To effectively blow up every internet chat room, forum and blog that has many meaningful discussion about Planet X, formerly known as the 10th Planet. Planet X is the real megillah that everyone has been tying to hide for decades. Simply put, its profound ramifications are so far-reaching and highly consequential that TPTB cannot risk the people catching on. Hence, along comes the Flat Earth Theory to change the conversation into absolute and utter gibberish. Anyone who knows how COINTELPRO really works will tell you that these Flat Earthers have been carefully cultivated in some serious mind-control programming experiments. Whenever they encounter any resistance to their utterly absurd FET hallucinations, they literally go ballistic. However, they do so with great purpose and calculation. Their studied responses are quite manipulative, just as their triggered reactions are practically inhuman. Just go to one of the big chat rooms and hang out in one that has made the Flat Earth Theory the topic of discussion. Watch the intensity on the side of the Flat Earthers, especially the way that they deceptively advance their daft arguments. It’s almost as though these folks (probably droids) have been fabricated in some laboratory somewhere in Andromeda. Their thought process is not human, and the practiced sophistry that they routinely employ in downright otherworldly as in AI gone awry in an evil Grey lab in Area 51. The bottom line, then, is NOT to waste your time with the Flat Earthers. Their primary function is to waste your time … mightily! As well as to distract you from much more important things that are going on everywhere, all the time. During these times, when things are moving VERY fast, no one on the planet has a second to waste. So why spend a moment in debate with a veritable idiocracy of Flat Earth nonsense?!?! 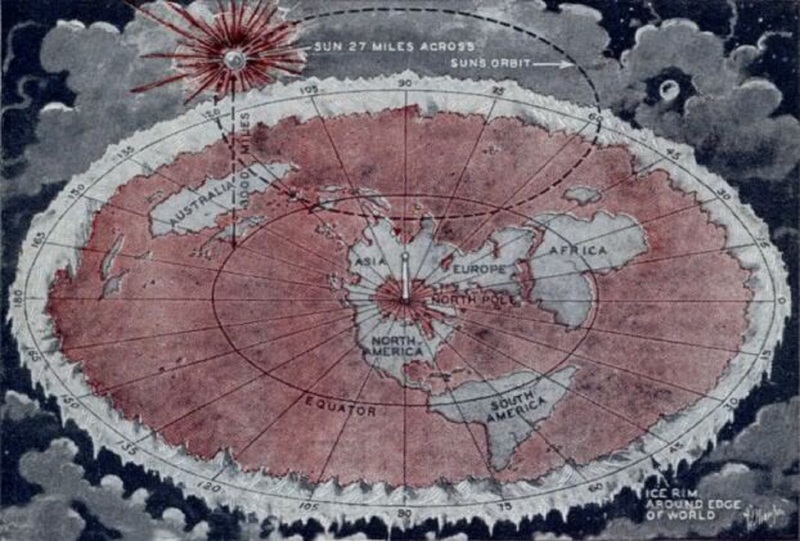 If you really knew that this whole Flat Earth PSYOP was a full-blown DARPA-conceived, CIA-directed, NSA-monitored, DIA-driven black operation, would you continue to giving them any energy whatsoever? Well, now you know. Perhaps some folks enjoy the journey into the realm of the extremely deranged; however, be aware that these Flat Earthers know exactly what they’re doing and that you may find yourself trapped off in a fictitious space-time continuum of puerile phantasmagoria and mentally challenged pseudo-entertainment. BEWARE, and be aware, of where they might be taking you. The Society of Flat Earth Debunkers (SFED) perfectly understands that NASA does not tell the truth about anything ever, unless they must. The SFED also knows that there are many scientific laws and maxims, theories and hypotheses which are falling apart by the day. We put no stock in the many falsehoods and propagated by the scientific establishment. However, that doesn’t mean that doesn’t mean that everything that comes out of NASA is bunk. After all, they did know enough to launch a space shuttle every now and then. More importantly, the Russians would have given up the International Space Station years ago if all NASA science and technology was falsely concocted. Would you send up your cosmonauts if the math was all wrong? Now, if you don’t believe what we just wrote, you may want to read the following penetrating exposés. There is perhaps no other internet hoax that is more ludicrous than the Flat Earth Theory. We’re talking about the most nonsensical and preposterous, laughable and foolish hoax in history! Yes, it is that zany and loony, wacky and silly. However, what is really crazy is how many people are buying into it. That is where the silliness ends and the serious PSYOP begins. That is also where the Tavistock Institute intersects with the NSA, Facebook collaborates with the CIA, and YouTube and Google really drive some heavy traffic IN THE WRONG DIRECTION. The spooks are watching the evolution of this PSYOP very, very closely. After all, they started it. All anyone has to do is read the following post by the Thunderbolts scientists and they will quickly understand the error and folly of the hysterical Flat Earth Theory hoax. How’s that for an elegant and thoroughly scientific theory of astrophysics—an Electric, Plasma-filled Universe ?! Here is one more enlightening piece for the all flat earthers: The Thunderbolts Project. Perhaps they can send these two links to their handlers at the Tavistock Institute. If ever the CIA and/or Tavistock Institute wanted to test out a new mind-control program, the Flat Earth Theory would be the perfect theme for the program. As most know by now, the CIA has been running covert mind-control experiments on various segments of humanity for decades. With the internet being a global platform, the opportunities for the intelligence agencies to advance their mind-control agenda(s) has greatly increased, as well as intensified. 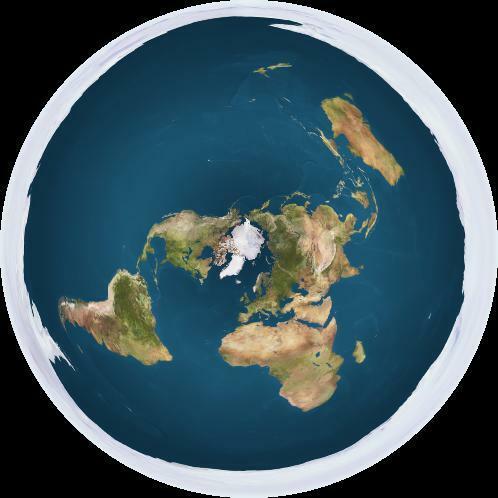 There is no greater example on the internet today of inciting people of every ilk toward “throwing the baby out with the bathwater” than the utterly ludicrous phenomenon known as the Flat Earth Theory. What is truly shocking is the number of really smart and aware, well-intentioned and spiritually oriented individuals who are supporting this transparent pseudo-scientific sham. Truly, the CIA has outdone itself with this mind-scrambling endeavor. Yes, scientific knowledge and applied technology have been egregiously abused and misused throughout the modern era, as this website has frequently pointed out. That is exactly the sentiment a “CIA” would like to exploit; however, true scientific paradigms based on common sense and human reason ought not to be whimsically replaced by pure fantasy and fiction … even if the Tavistock Institute provides every rhyme and reason to do so. 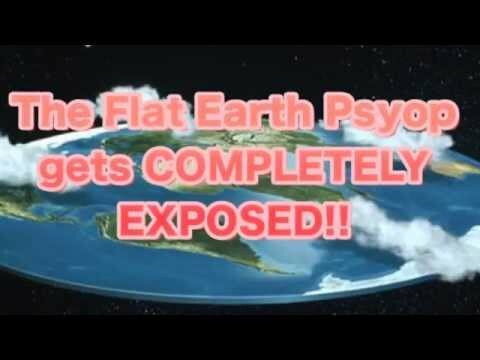 Video: PSYOP Flat Earth DISTRACTION Debunked! BIG FAIL! Members of the Flat Earth Society claim to believe the Earth is flat. Walking around on the planet’s surface, it looks and feels flat, so they deem all evidence to the contrary, such as satellite photos of Earth as a sphere, to be fabrications of a “round Earth conspiracy” orchestrated by NASA and other government agencies. The Millennium Report does not endorse this Live Science (LS) article treatment of the subject of Conspiracy Theory. The LS article was posted to show the MSM (mainstream media) perspective on the Flat Earth Theory. As for TMR, here is our take on the whole “Conspiracy Theory” phenomenon.